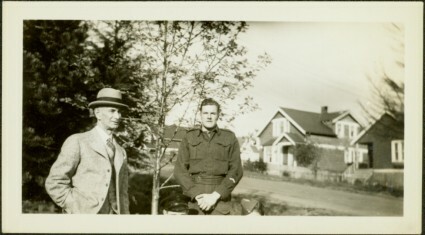 Bert Glassey stands to left of man wearing what is believed to be a pilot's uniform. Trees in left background, street and houses in right background. Stamped annotation on recto of photograph: "8".